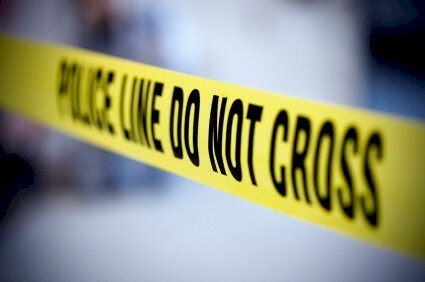 Police are investigating the discovery of the body of a male individual on a beach in Vieux Fort. The deceased has been identified as Moses Clovis, reportedly in his forties. Law enforcement sources told the Times that the body was discovered at around 11.am today on the Boriel Beach which is past the the Aupicon junction when heading towards Castries. The sources told the Times that foul play has not been ruled out. we must comment here. voice your protest on this medium to. When is this insanity going to stop? reinstate capitol punishment. The fear of death is the only viable alternative. These people do not have a fear of death… that is why they kill. Capital punishment does not deter. They are deeply spiritually lost. We have to raise our spiritual game to rescue the killers. Well said. These slaughterers have no respect for life. Their souls are overly dark and eternally sick. The police should collect intelligence on all the known lawbreakers and miscreants in the various communities then search their places of residence often, on the streets search their person. Keep surveillance on them. The government should ensure that every police officer is well trained and the Police Force has the requisite resources and crime fighting equipment. This butchery must end! Just like it was Kenny’s and La Corbiniere’ s fault, it is Chastenet’s and Francis’ fault. And yes, I’ve said it. Last time I checked Chasnet was everywhere talking about how Kenny didn’t make St.Lucia safe. So now he is in charge he has set the precedence for who should be accountable when crime rises. The Bible spoke of those times.. it is called perilous times.. in the last days.. truly we are living in this season.. read 2 Timothy 3.. Tune into Ibas radio on Sundays at 7:00am to hear more about the end time. Everyone thinks they are living in the last days. Don’t you think the last days would have been SLAVERY? The world goes on and on, the violence does not end. God will not bring it to an end for us by ending the world. We are God on Earth. We have to fix this. Are you a repented God. If not you can fix nothing. So yall eh know the cause of death but rushing to judgment. Even if Capital Punishment was re-instated the results would probably be the same.In developing socities there are no viable hindrances to curtail crime very simple.People are still going to kill or be killed it is A law of Humanity from creation.St Lucia is no exception the only reason why it hits home is because it is smaller.Let us take the U.S. for example I wonder how many of us utter the same sentiments when we see the same atrocities being committed there or even in neighbouring Islands. You are right, capital punishment does not deter. Very few murderers are psychopaths who enjoy killing. Most are people who have lost all value for life for one reason or another. We need to look into those reasons and save these children when they are small, before they grow. The most ordinary looking boys and girls on the street are dying inside, whether that be through abuse, neglect, or other means. Once they lose the value of themselves, they have no value on the lives of others, or of life itself. They will grow up to be criminals, and neither the prison nor the noose will deter them. They are just committing suicide on each other’s behalf. The “days of Noah” I believe we’re worse than what is happpening right now around the world. This is not unique to St. Lucia. It will not stop, it will get worse. I believe the fundamental question for each and every individual is; where do I stand, and what is my role, and how does this affect me, and what should be my response in all this. I view things from a believer’s perspective. One who believes in one creator who is loving and who sent his son to die for mankind, to pay the debt of sin that Adam brought upon this world as a result of his disobedience. This is not about religion. This is about a fundamental question about our origin and ultimate destiny. What am I trying to say?? Whatever is happening will happen and we are powerless to stop it. Our focus should be on making things right with our creator, so we can stand before him in confidence on that great day. And the only way I know to do this is by trusting and believing in his death on our behalf on Calvary’ cr0ss. Once your believe is that Jesus die foe all mankind. then you are a child of the devil. Go read and understand Deuteronomy 28 and if by chance you are a child of the slave trade. then let go back to the most high laws. When we so called black men go back to the laws of the most high. That’s when our women will get their selves right. It is not by accident we so called black men are not taking care of their children. Children having children. Fathers who are nothing but sperm downers. Kids cant raise themselves. The problems that are manifested now started years ago. We saw these things a thought everything would be ok?!…….smfh. How shortsighted and clueless we are. Why think it’s some kind’a homicide? (smdh)negative thinking people.whether it is or not,the first impression says alot about the mindset of a small nation of people trying to keep up with the times. Sn:if it’s a homicide ,then there are obviously characters who are more negative than u who are quick to assume foul play.i say no more…..
they hav peesons in custody . teenager between the ages of 12-17 . lord put a habd . st lucia is a mess our children are fallin along the way side ? The persons who committed this act are all kids ranging from ages 12 to 17. All six boys and girls are now in police custody. This one is sad, for both the family of the deceased and the family of those young perpetrators. But on another note I must say a job well done to the Vieux Fort police for this quick break through. We need more results like this from the police. When i make my statements people believe i do not know what i am talking about, but it is happening . Unless chastanet and Francis put measures in place we are doomed to fail at every turn . It is like they have turned a blind eye. Capitol punishment will not solve this problem , there is more to it. LOW LEVEL P.I. . I WILL HELP IF I AM ASKED. I don’t think he was stoned to death intentionally. Maybe a stone hit him and he collapsed. IF he collapsed by a stone hitting him, then Y stoning him in the first place. It is because he was stoned he collapsed. Those who have no fear of God will soon experience His wrath.